Spinosaurus was a carnivore (meat-eater) that lived during the late Cretaceous period, about 95 to 70 million years ago. Spinosaurus had 6 feet (1.8 meters) spines on its back, forming a large fin (sometimes also called "sail"). The fin was probably used for temperature regulation: the animal could face it towards or away from the sun, depending on whether it needed to heat up or cool down. The creature's name comes from this feature: Spinosaurus means "spine lizard". Spinosaurus also had surprisingly large arms, compared to related carnivores, so it is possible that it may have been able to walk on all fours. African Dinosaurs - Spinosaurus lived in Africa. Spinosaurus was a genus of dinosaur. 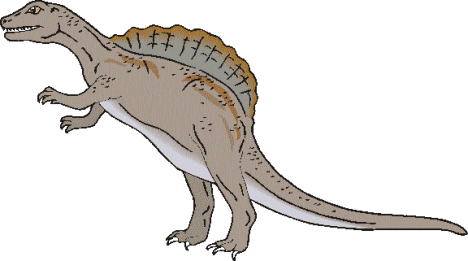 Spinosaurus was a member of the Saurischia ("lizard-hipped") order of dinosaurs. What this means, is that although Spinosaurus was not closely related to lizards, it did have similarly shaped pelvic bones. 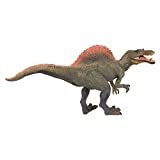 Spinosaurus was a Theropod - a member of a group of related bipedal dinosaurs that included the ancestors of birds (although Spinosaurus was not itself an ancestor of birds). Spinosaurus lived between about 95 million years ago and 70 million years ago, during the late Cretaceous period. Spinosaurus was a carnivore (meat-eater). Spinosaurus's diet is believed to have included fish, like that of its relative, Baryonyx. Spinosaurus was somewhere between 39 feet (11.9 meters) and 51 feet (17 meters) long - its exact size remains a subject of research and debate. Spinosaurus weighed somewhere between 7 and 9 tons - its exact weight remains a subject of research and debate. Presents a day in the life of a spinosaurus, describes their physical characteristics, and discusses if dinosaurs were warm-blooded or cold-blooded. "Meet The Spinosaurus" - A nonfiction dinosaur book for children. This spinosaurus book is filled with cool pictures and interesting facts about these long gone creatures that once roamed the planet. - When did the spinosaurus live? - What was the spinosaurus's feeding habits like? - How did the spinosaurus move? - How good was the spinosaurus's sense of smell and eyesight? The spinosaurus was an amazing creature and has been studied for many years. 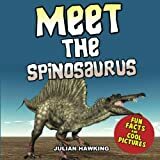 So, if you want your child to know more than their teacher about the spinosaurus then you need to grab a copy of "Meet The Spinosaurus" right now. Combining fantastic images of the spinosaurus with interesting facts, this is a perfect children's book about the mighty spinosaurus. This book uses language that is simple enough for children to read on their own or to read alongside a parent, guardian or teacher. Brett Russell is a hunter of the rarest game. His targets are cryptids, animals denied by science. But they are well known by those living on the edges of civilization, where monsters attack and devour their animals and children and lay ruin to their shantytowns. When a shadowy organization sends Brett to the Congo in search of the legendary dinosaur cryptid Kasai Rex, he will face much more than a terrifying monster from the past. Spinosaurus is a dinosaur thriller packed with intrigue, action and giant prehistoric predators. Spinosaurus, or the thorn lizard, lived almost 1 million years ago. Using its crocodile like teeth and sharp claws, the Spinosaurus stalked the prehistoric jungles and oceans in search of prey. This frightening reptile may have been the largest carnivorous dinosaur, even larger than the fearsome T-rex! Stunning graphics take the reader through a day in the life of the Spinosaurus, from breakfast to dinner. This fascinating volume also includes fossil facts and information about the period in which the Spinosaurus lived and the other dinosaurs of that time period. Describes the major plant and meat-eating dinosaurs of the Upper Cretaceous period on each of the land masses that existed at that time. 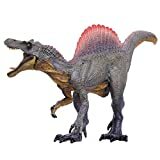 How did Spinosaurus get its name? What did it eat? Find the answers to these questions and more in this fact-filled book! Explores what scientists have uncovered about Spinosaurus. Colorful photos and illustrations help bring each dinosaur to life as easy-to-read text guides readers through important discoveries about its appearance, diet, and habitat. The Spinosaurus like a violet. ONE OF THE LONGEST DINOSAURS - The Spinosaurus measuring up to 18 m in length, 6 m in height and weighing up to 9 tonnes. It is recognisable for its large back spines. GREAT DETAIL - It is hand painted with amazing detail, realistic, educational, and fun, this figurine is suitable for a range of interests, including collectors, teachers, and kids. This figure cares in the details and postures, which gives the impression that the figurines are animated. Kala playsets is the dinosaurs series. It help develop dexterity and sparks the imaginationi. It is with great detail and they are beautifully fifnished and durable. It is a very nice set suitable to boys and girls.it is the favorable gift for the festival or speicial date. A FUN AND EDUCATIONAL GIFT: Not quite sure which gift to give to your curious son or daughter? Get yourself this charming Dinosaur figurine toy to inspire and give joy to your kids, nieces, nephews or other loved ones! Did you know that this Dino was larger than a T-Rex? You will love to cuddle with this soft and adorable Dinosauria Spinosaurus. This realistic stuffed animal is covered in soft brown fur that changes to stripes of tan and white as it travels up the distinctive, fan-like spine that gives the Spinosaurus its name. 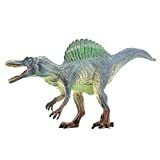 Your Spinosaurus stuffed animal not only stands ready for adventure on its two hind legs but with its durable, Surface-washable fabric, can also stand up to hours of ferocious fun. This plushy prehistoric predator will make the perfect gift for stuffed animal lovers of any age. Wild Republic has been developing animal plush and educational toys for kids of all ages since 1979, With a unique specialization in realistic stuffed animals. ★CONVENIENT AND SAFE---Size:7.7''(W)*5.6''(H), two methods of electricity supply:3* AA Batteries or USB connection. Light source use the high quality LED, the light is soft and uniform, no dazzling, non-flicker, harmless to children's eyes. ★SATISFACTION GUARANTEE: ZOKEA Stands by 100% quality of our 3D night light. Each night light is thoroughly tested before we put our name on it. We offer a full 180-day 100% money back guarantee: if it don't work out for you for any reason then send it back to us for free replacement or full refund. ❖ Low consumption, will not be hot after long time working, Light source use the high-quality LED, light is soft and uniform, no dazzling, non-flicker, won't hurt eyes. 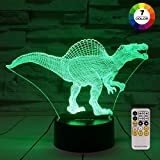 ✔1* ABS Base, size: 3.4"*3.4"*1.5"
✔1* Micro USB cable, length: 37"
To get a Amazing 3D illusion night light, please click 'Add to Cart' now. 2. All products should be kept away from any sources of flame. 3. This product is made by environmentally friendly material,to avoid chocking hazard or possible bacterial transmission,please do not put in mouth. 4. Reckless disposal of the product may cause environmental problems, please recycle properly. 5. If necessary, please clean this product with a soft cloth dampened with water, do not use alcohol or any other acidic or alkaline cleaning solution. 6. This packaging contains important information which should be retained. Prowl the prehistoric world with the dangerous Spinosaurus! And now, it can be yours! 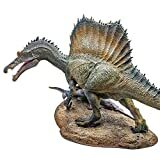 The Spinosaurus Action Figure by National Geographic includes a meticulously crafted, hand-painted Spinosaurus action figure that looks as fearsome as the real thing. The Spinosaurus is built with a movable jaw, so children can simulate the creature’s frightening bite force. And since it’s constructed of durable material, the figure stands up to all kinds of vigorous play. It’s a science toy kids never want to put down! In addition to the Spinosaurus figure, the kit comes with a genuine dinosaur poop fossil (coprolite), learning guide, and activity guide for endless science fun. This coprolite fossil is a real dinosaur poop specimen that is millions of years old. With the 12-page learning guide, kids can go in-depth on the Spinosaurus and become absorbed in the world of the Jurassic era. 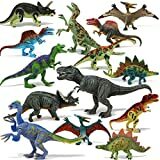 Boys and girls love to learn with this premium dinosaur science kit! 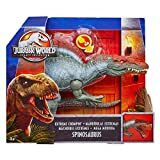 Order your kit today and start exploring the ancient world of the Spinosaurus! National Geographic Toys provides a 100% satisfaction guarantee with all our products so that you can buy with confidence. HIGH-QUALITY MATERIAL & SAFETY - Premium PVC plastic models. 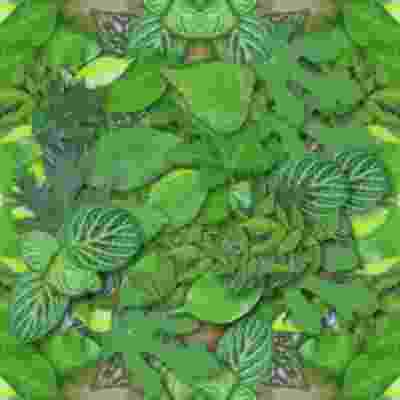 Non-toxic, phthalate-free, odorless. No tiny removable parts. FINE CRAFT - Unique shape molded and delicate cutting cooperatively build a lifelike dinosaur model. Multiple vibrant colors arouse children's interests at a large extent. NOTE - Small parts include. NOT for children under 3 years old.